As you already know, I’m a big fan of face masks, especially before applying makeup. In fact, I use a face mask almost every single day as my life is super busy and I often need to camouflage the signs of undersleeping. 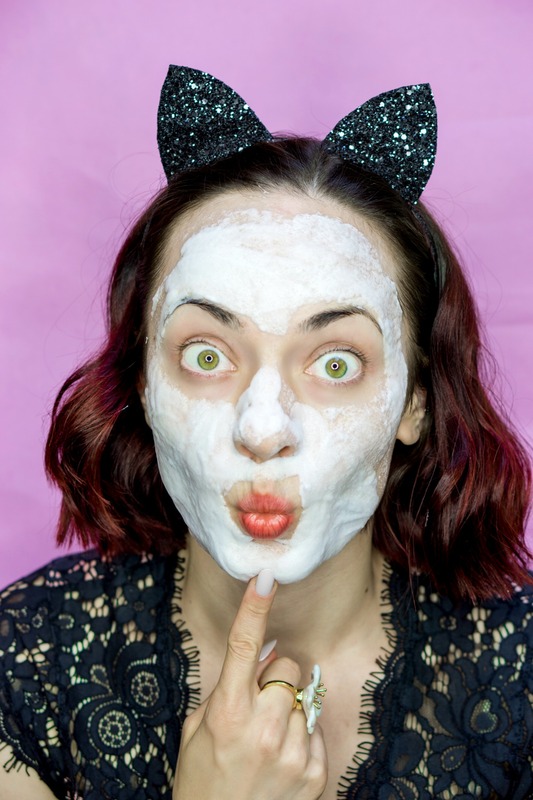 Today I have a super special mask for your attention as it’s a clay mask that produces…bubbles! You probably saw similar products on Instagram and YouTube and I figured that it’s time for me to try this Insta-famous mask myself. 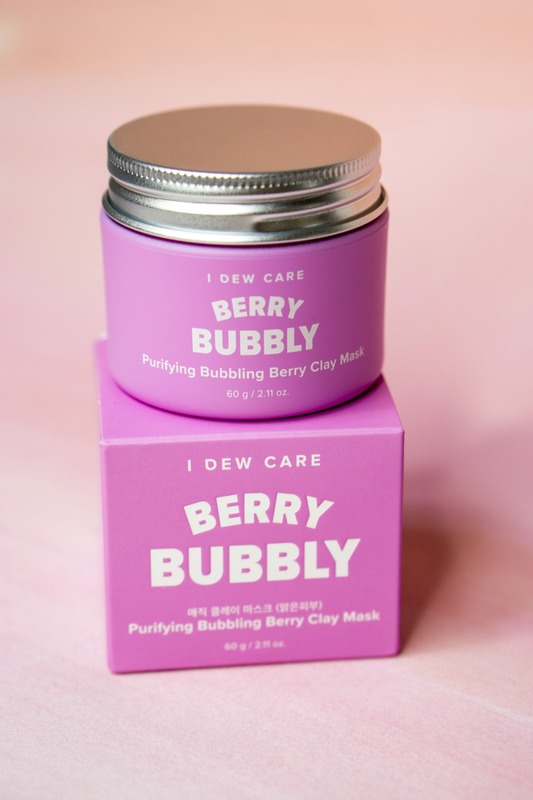 Saying so, I collaborate with Memebox and I Dew Care to share with you a new I Dew Care Berry Bubbly Clay Wash-Off Mask that is currently available at 300 Ulta stores across the country and also at Ulta.com. The mask comes in a cute light purple packaging with a metallic lid. Since it’s not a squeezy kind of tube, you’ll need a brush to apply it. I recommend repurposing some of your old makeup brushes like I did in the video above. The mask goes for $19 and for this price you receive 2.11 oz of a product. It’s a bit more expensive than your typical L’Oreal mask and some of the drugstore K-beauty brands, but less expensive than the majority of masks available at Sephora. The consistency of this mask is truly unique. At first glance, it looks like a light purple jello. But when the mask touches your skin, it almost immediately turns into a lightweight foam. Compared to the majority of other bubble masks that I used before, the Berry Bubbly mask actually absorbs into the skin as opposed to staying on top of it. In my opinion, it’s a good thing as it demonstrates that ingredients indeed deeply penetrate into the skin. What surprised me the most about this mask is that it’s actually a foam mask. Previously I only played with hydrating bubble masks that either brightens your skin (like Malin + Goetz Detox Face Mask) or hydrates it (like e.l.f. Hydrating Bubble Mask). 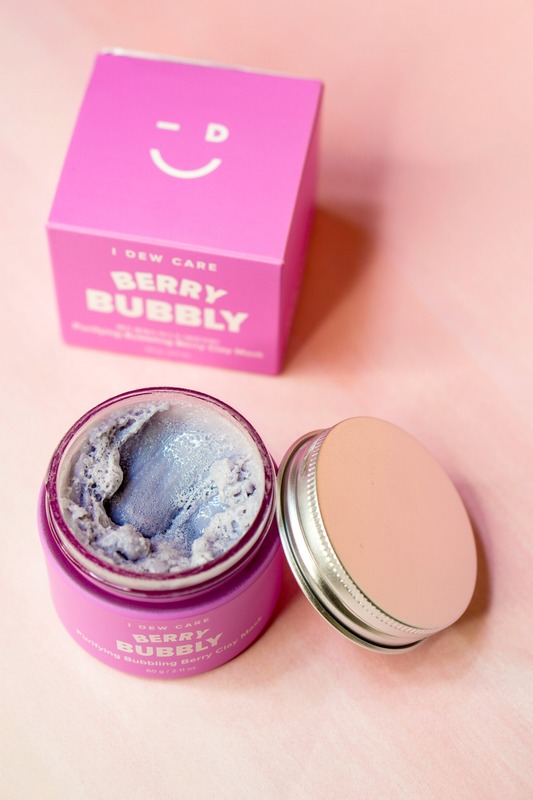 It was great to know that the Berry Bubbly mask contains kaolin clay which makes it a perfect solution for acne-prone skin as well as skin that needs some deep cleaning. I also enjoyed exploring that the mask contains blueberry extract which is a great antioxidant that hydrates skin and has anti-aging effects on the skin. I applied the mask after washing and toning my skin. I used a brush that helped me to evenly distribute the product. One of the best things about this mask is that it started bubbling almost immediately after applying. Then, to my surprise, the bubbles started fading as the product was absorbing into my skin. I left the mask on for exactly 10 minutes as then washed it off with lukewarm water. Since it’s a clay mask, I expected my skin to feel a bit dry after application. However, it didn’t happen! My skin felt clean and hydrated. I think that the bubble texture helped to make the drying effect of a clay mask less prominent that really worked well for my combination, acne-prone skin. I really liked it! It was a fun product to use and I enjoyed the uniqueness of its formula. Saying so, I definitely plan to continue using this mask over and over again!